Аннотация к книге "Sustainable House. 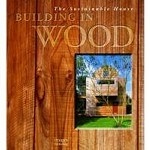 Building in Wood"
Giving this versatile material new respect, the timeless and enduring qualities of wood are brought into focus through this full color, illustrated volume. The Sustainable House: Building in Wood provides a deep insight into the amazing properties of this much misunderstood material.